In this age of mixing and matching, having one accessory that would go well with a variety of clothing items would be a fashion god-send. 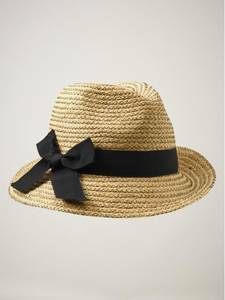 This summer, one item that needs to be in every fashionable woman’s closet is a straw fedora. Used to be commonly seen in jazz bars and gangster mobs, the fedora-styled hat now comes in a variety of materials and colors. A straw fedora can be squeezed in a beach bag without having to worry about getting wrinkled and is not too big like a floppy hat that would cover the beauty of your face. This type of hat can be found in different stores, but you do not have to shell out over US$100 to get a nice fedora hat. In fact, the best fedoras are valued for less than $30 and you can buy more of it in different variations to get you through the season.